High-powered track cars have become somewhat commonplace these days, with 1000bhp machines seemingly surfacing at every other motor show. The team behind the Mosquito claims this is a different machine, instead focussing on an ability to get around a track faster than its competitors, as opposed to raw power alone. It’s also road legal, which is a plus. Despite this, power’s certainly not absent, with 600bhp coming from its naturally aspirated V8 power plant. It’s yet to be confirmed where the engine will come from, but Performance Solutions has said it will likely be a ‘proven American power plant’. Though final figures are yet to be revealed, around 600bhp and 479lb ft of torque give the model a quoted 0-100kph sprint time of just 2.9sec, with top speed coming at around 322kph. A six-speed automatic gearbox will also help power get to the ground. 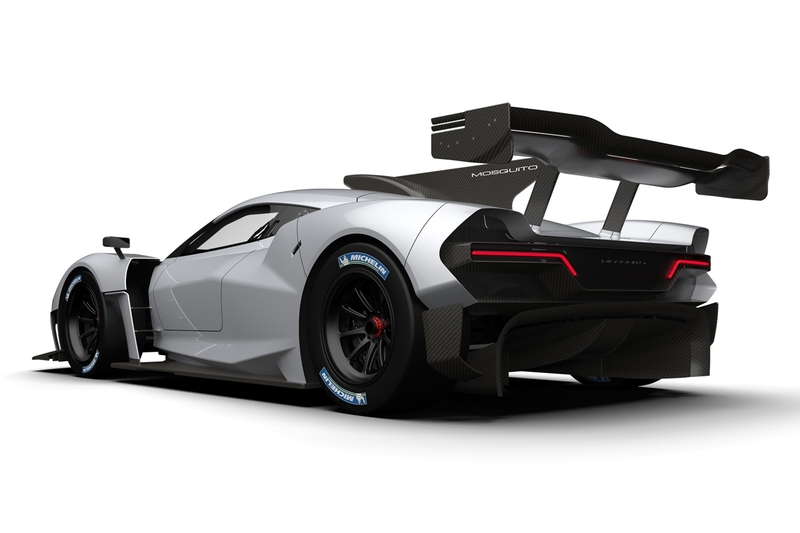 Kerb weight is a mere 974kg (just 2kg more than the BT62), thanks to an FIA-spec lightweight chassis, all-carbonfibre bodywork and lightweight centre-lock monoblock wheels, making for a very respectable power-to-weight ratio of over 600bhp per tonne. The company has worked hard on the aerodynamics of the machine, ensuring it has high downforce but as little drag as possible for ultimate efficiency – a tricky balance to find. Performance Solutions says each of the 18 cars will be completely unique, featuring bespoke elements chosen by the customer – each car is set to sport a different colour or livery, with further details on customisation to come. The Czech company behind the project has plenty of experience in motorsport, with a background in World Rallycross, Dakar, open-wheel racing and more. The Mosquito will have a seven-figure price tag as found with the Brabham BT62, but will vary depending on customer demands for each of the 18 cars. Next Article Aston Martin Vantage review – can it match the Audi R8 and Porsche 911?